It’s that time of year again! 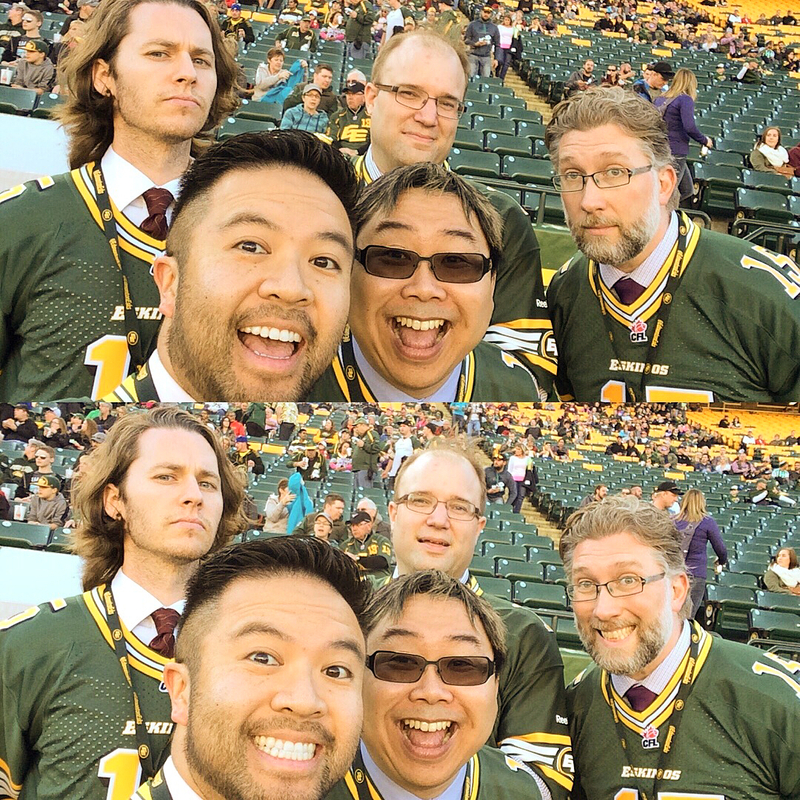 How do you make the Edmonton A Cappella Festival that much bigger? Have it over two days! This year, alongside of TWO concerts, the festival is hosting workshops all about how to improve your a cappella experience. Want to learn how to arrange songs, learn how to improve your microphone performance, how to beatbox, or do you just want to sing a medley arranged by local conductor Caleb Nelson? Sign up on the Eventbrite page for this Saturday’s sessions! 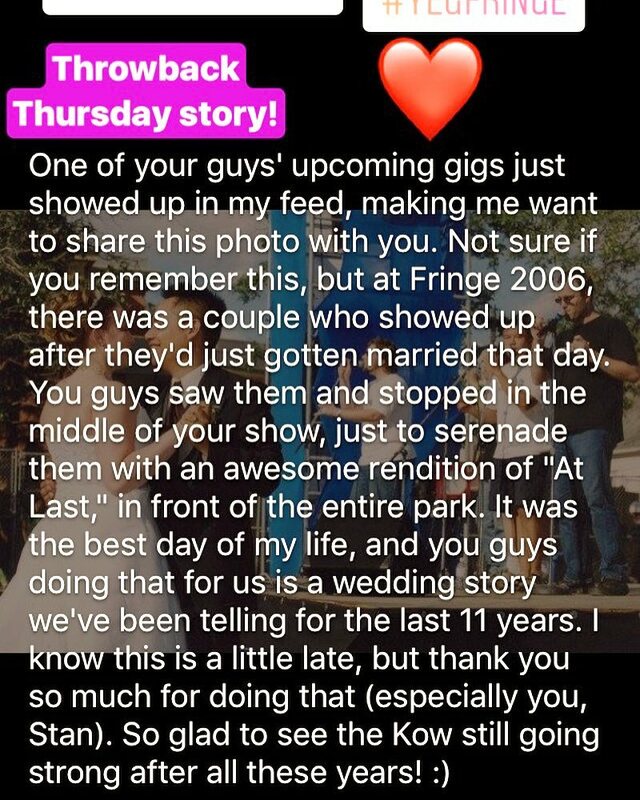 Of course, there will be concerts! On Saturday evening at Harry Ainlay High School Auditorium, the Professional show will feature High Street Sound, The Olsen Sisters and Apocalypse Kow! On Sunday afternoon, at Southgate Alliance Church, you’ll hear the ETown Vocal Music Society choirs, like ETown Augmented and ETown Minors, as well as Harry Ainlay group Tital up Vocal Jazz! Get your tickets now! Online or at the doors! 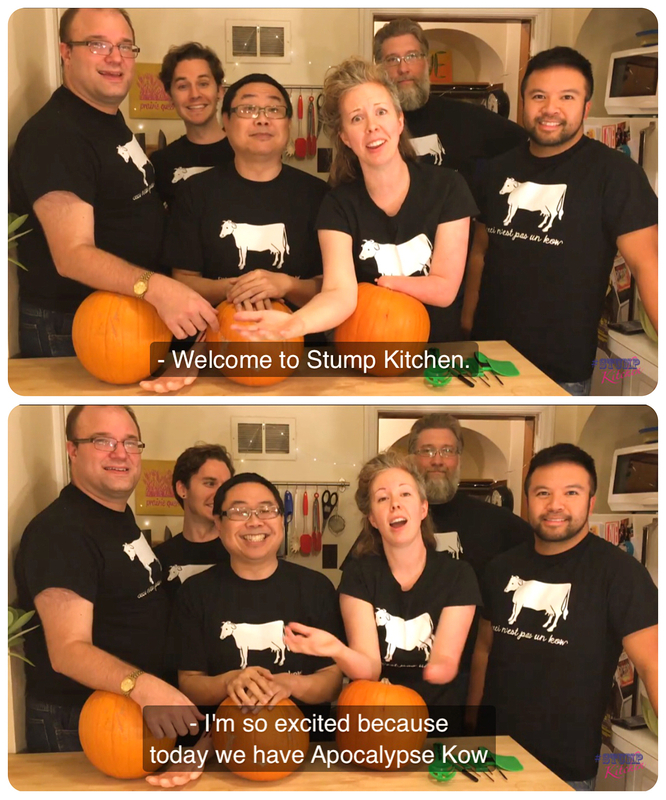 We’ve really hit the ground running this year, planning and prepping for an event that we hope you’ve already heard about (if not from social media, then at least from the title of this blog post). Yes, it’s true! 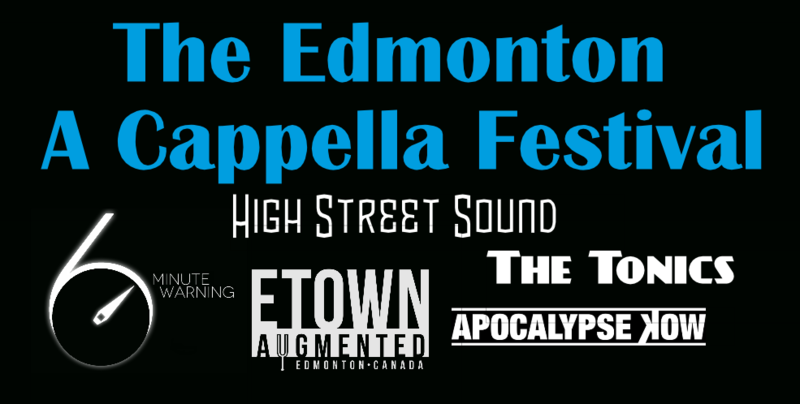 The Edmonton A Cappella Festival is back for a record 2nd time! And this time it’s bigger, better, bolder, boulder, balder, and with at least as many bowler hats as we had last year. Place: The theatre at Harry Ainlay High School (4350 111 Street). and your favourite Kows (Jago will be there too). We hope you can make it out as this is sure to be an outstanding family friendly time. Tickets available at Eventbrite … BUY YOUR TICKET TODAY! 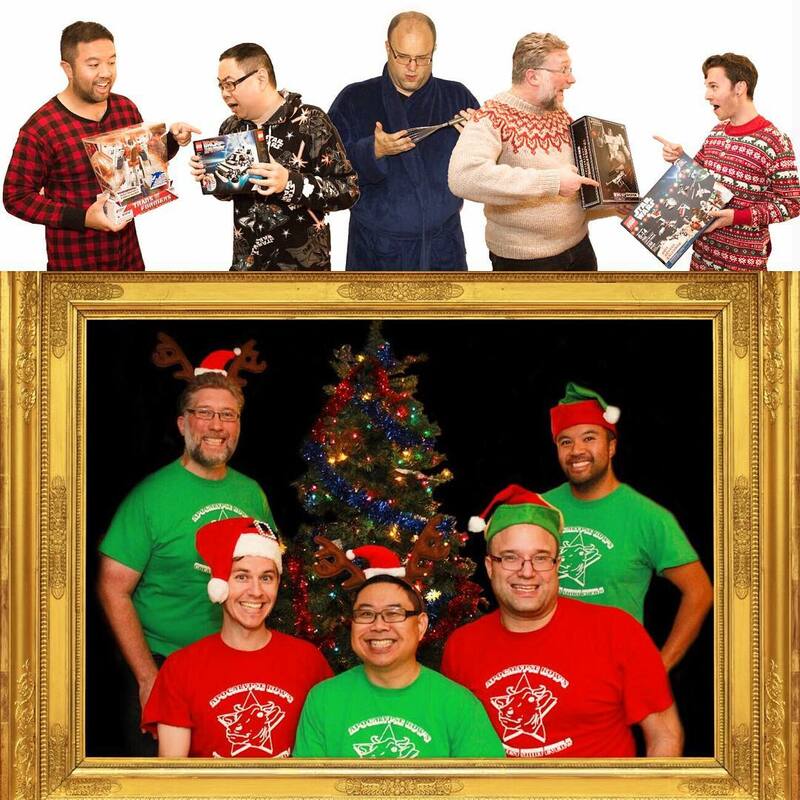 Apocalypse Kow’s annual Kristmas Kabaret is just around the bend! 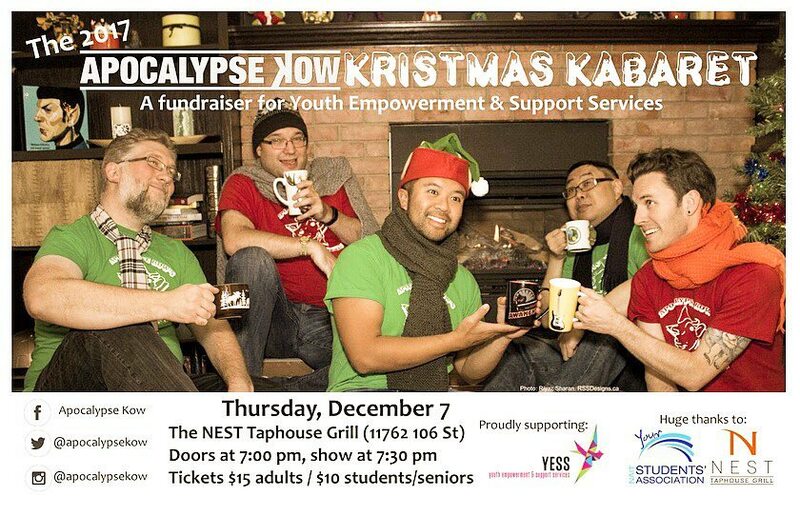 This year, we are raising money for the Youth Empowerment and Support Services (YESS)! Who? Your hosts, Apocalypse Kow, along with special guests Trent Wilkie and Peter Kelly of Kelly’s Irish Echoes! You can also pick up our new CD, An Apocalypse Kow Christmas at the show! Come join us for celebrating the season while helping out a local charity! Available now! 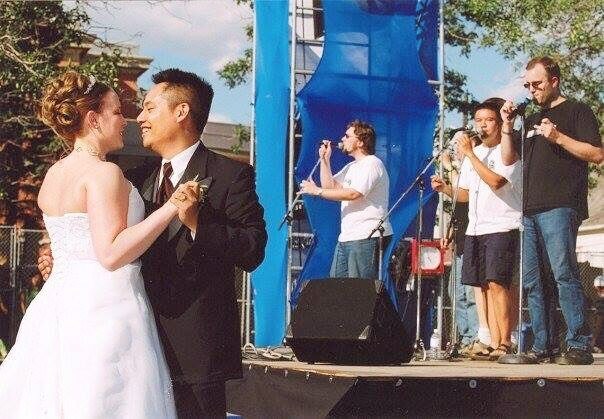 Our newest CD, a series of live tracks recorded on the 2009 Edmonton Fringe outdoor stages! 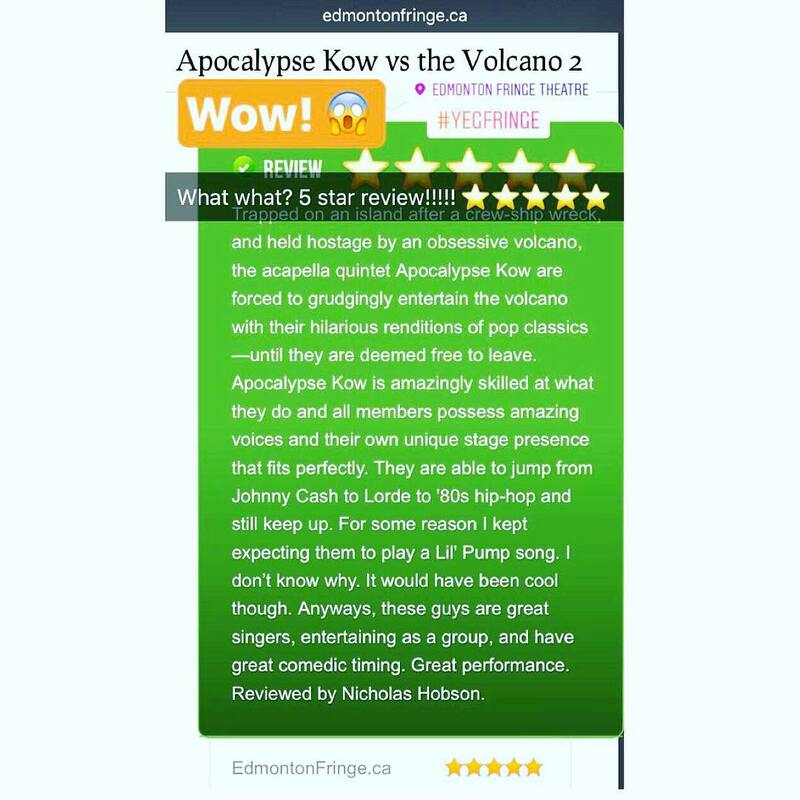 How does Apocalypse Kow cope with a volcano that followed them home from a trip to Hawaii? 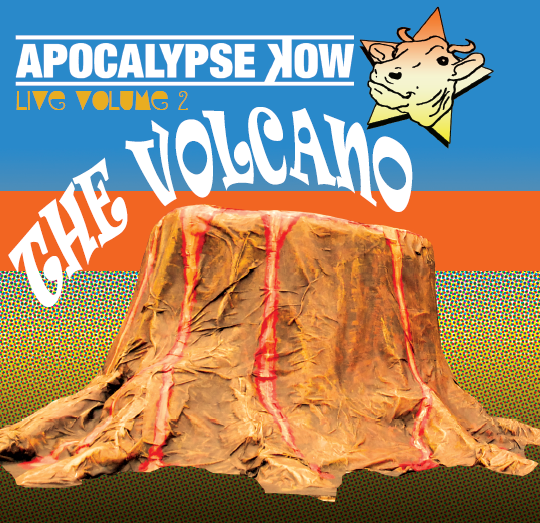 We are selling this CD at our new Fringe Show, Apocalypse Kow Vs. The Volcano 2 for $15. But how can you get this CD if you’re not attending the Fringe? Give us a shot at info@apocalypsekow.com if you’d like to buy a copy!